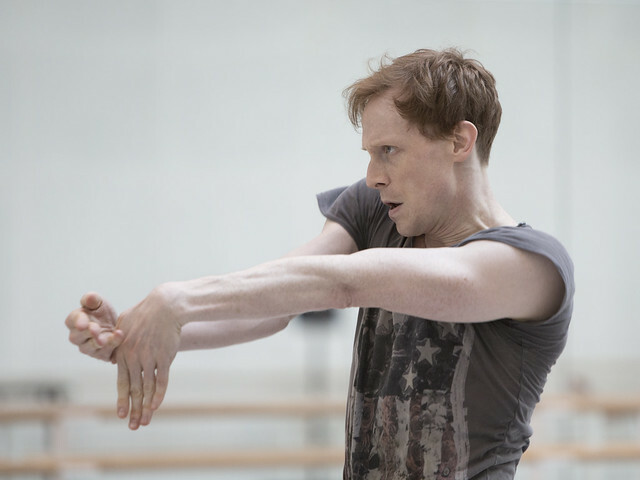 Woolf Works, Wayne McGregor’s first full-length narrative work for The Royal Ballet, is inspired by the writings of modernist icon Virginia Woolf. The ballet, which has its world premiere on 11 May, is created on a wide range of Principals and corps de ballet dancers. Edward’s previous creations with Wayne include roles in Chroma, Infra, Carbon Life, Raven Girl and Tetractys. Woolf Works, set to a newly commissioned score by Max Richter, brings together a unique creative team, including dramaturg Uzma Hameed, architectural studios Ciguë and We Not I, designers Lucy Carter (lighting), Ravi Deepres (film), Chris Ekers (sound) and Moritz Junge (costume), and make-up artist Kabuki. The ballet draws on three of Woolf's best-loved novels – Mrs Dalloway, Orlando and The Waves – as well as extracts of her autobiographical writings, to capture her unique way of representing the world, and people's emotional landscape. Woolf Works runs 21 January–14 February 2017. Tickets are still available. Afraid that we cannot announce beforehand in case there is a last-minute change and audiences are disappointed.